Super Mega Baseball: Extra innings Review: R.I.S.P. 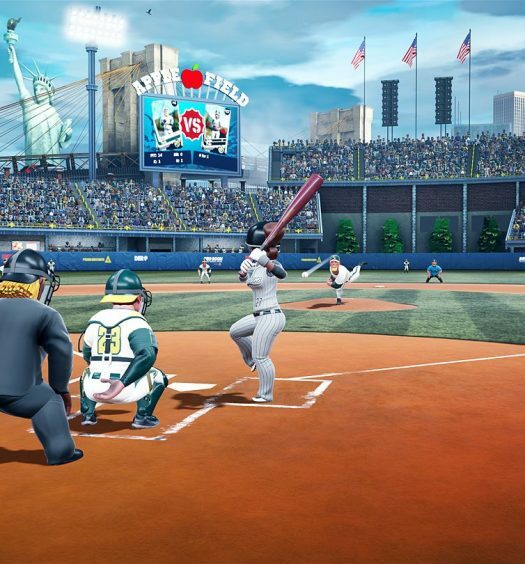 When 2k Games ceased publishing its 2K baseball series, Xbox owners were left without any alternative in the genre. MLB stepped in with its revival of R.B.I. Baseball to fill the void, but most were not charmed by the lackluster attempt at arcade-style nostalgia. And so Xbox-owning baseball gamers continued to wait. 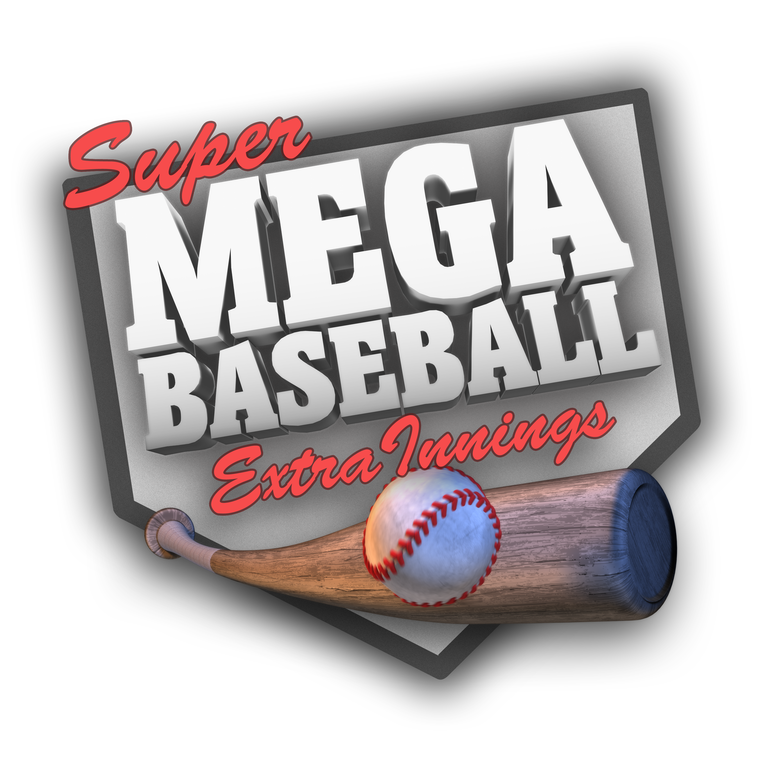 Now, Super Mega Baseball: Extra Innings has stepped up to the plate, and the first pitch is on the way. 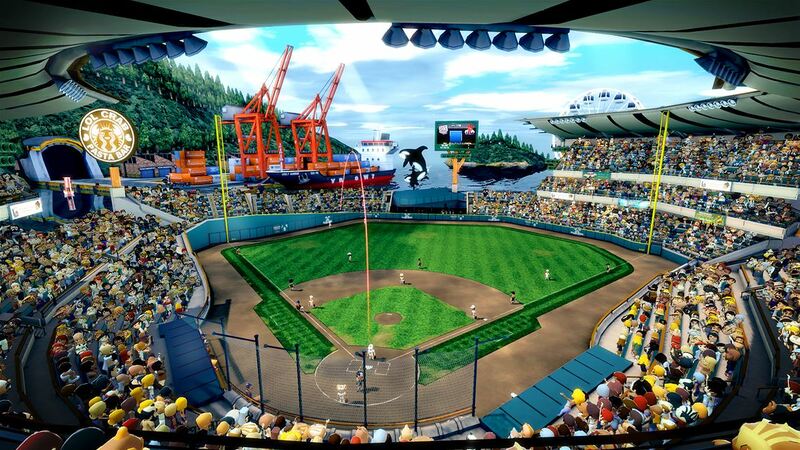 Take me out to the ballgame — The Xbox platform finally has a baseball game that is fun to play. While some may be disappointed that this is yet another arcade-style title, nobody can deny its charm and amusing gameplay. The cartoon aesthetic and exaggerated character models exude a charisma that quickly elicits a smile. Mechanically, the game is simple. While everything can be done manually, the game will take the initiative with moving players into position to catch balls and holding runners on fly balls. Difficulty sliders can make the game as easy or brutal as desired. Personally, I enjoy launching non-stop home runs and routing opposing teams, but having the option for a nail-biting experience is welcome for variety’s sake. That stadium experience — Baseball is a great spectator sport, especially in the company of friends and family at the ballpark. Sometimes the game itself can play second fiddle to enjoying the atmosphere and surroundings of being at a game, and for some reason, hot dogs always taste better at the ballpark. Super Mega Baseball captures this nuance well. All six stadiums radiate pure joy. Each park is unique: from one inspired by a cherry blossom-filled Japanese garden to a port city with passenger ships cruising along just outside the bleachers, the entire collection of venues provides a fun place to experience the game. Even the teams and players have silly names like “The Moonstars,” represented with a logo of the moon with a toothy grin. When playing, I like to imagine the fans in the stands are having an equally fun time as I am. The only negative about the stadiums is because they’re so good I want more of them. It would be fantastic if each of the 12 teams had a home park, but for a download-only game, that is probably pushing things. Pick-up and play — Because of the difficulty slider, in-game tutorial and easy-to-understand “how to play” menus, anybody can get the hang of the game rapidly and play at his or her level of comfort and move on from there. You can choose from playing an exhibition game of any number of innings as well as seasons of various lengths. The games themselves can go by fairly quickly, which makes this title a good one to play in the intermediary. Advancing the runners — The more you play and the better you play, the quicker you will level up. This, in turn, unlocks “equipment,” “agents” and other such items that can be attached to players to improve certain aspects, like power or speed. This progression mechanic adds replayability to the game and makes taking on the higher difficulty levels more feasible. Home-field advantage — While this is certainly a budget title at $19.99, it still would have been nice to have online play worked in. Co-op and versus are fun on the couch, but not everybody has the convenience of having interested players close by. Three Blind Mice — As much as the game is fun and free-spirited, there are some questionable moments that make me scratch my head. Runners will sometimes automatically hold up on hits that are in no peril of being caught, which causes extra bases to be lost if the player is not paying attention. I’ve also had several runners thrown out at first from the outfield. This never happens in real baseball, so it is strange to have it happen here. Also, the players tend to move a bit slower than one would like, but that’s a minor nitpick. 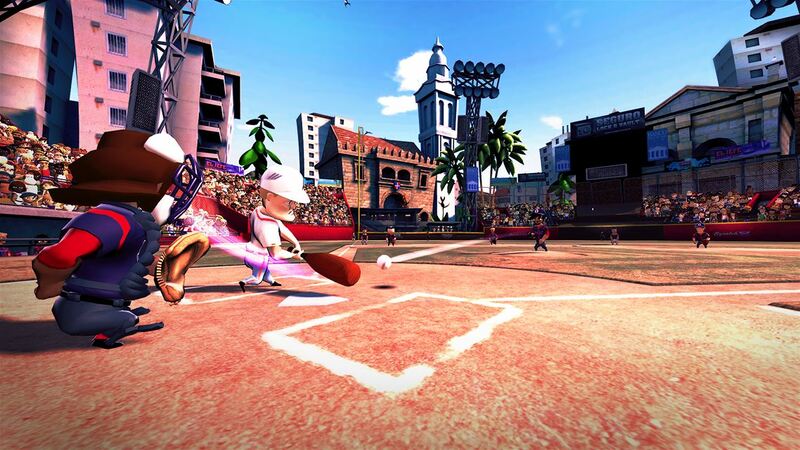 Xbox One owners finally have a baseball game that will make them smile again. 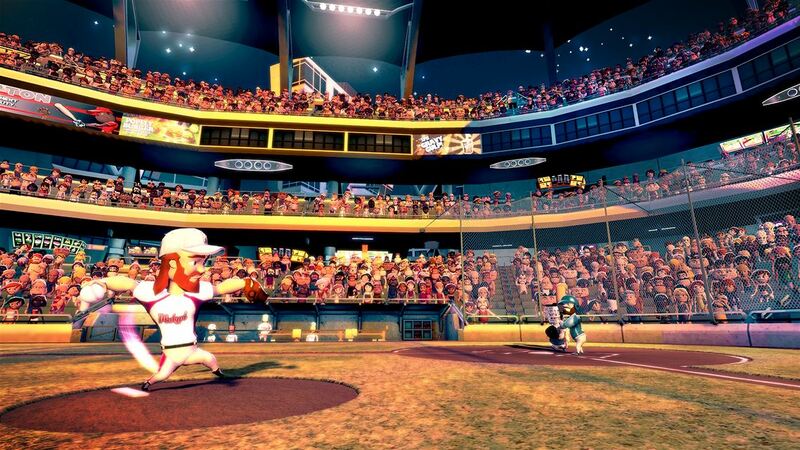 While not perfect or fulfilling to all audiences, Super Mega Baseball is more than adequate for what it tries to accomplish and sets itself up well in scoring position for any potential tweaks or future releases down the line. 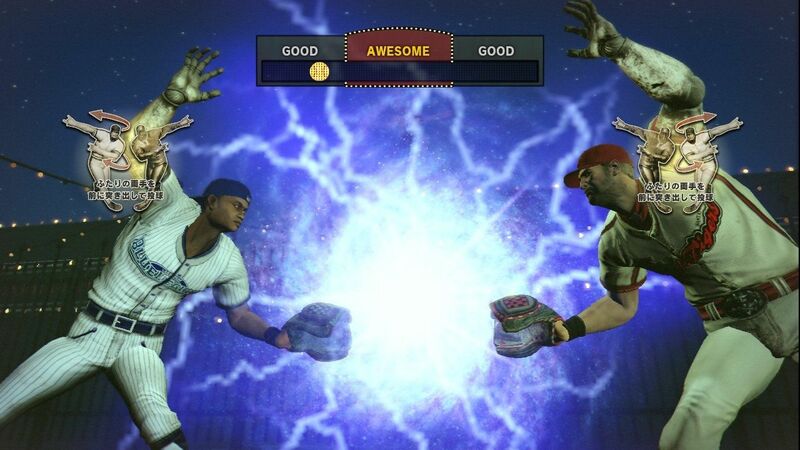 Super Mega Baseball: Extra Innings was developed and published by Metalhead Software on Xbox One. It will be released on August 14, 2015 for $19.99. A copy was provided by Metalhead Software for review purposes.